E.J. Babcock, Aspiring Writer: An awesome book you must read! An awesome book you must read! Are you looking for a summer book to read? Have you been searching and found nothing? Do I have the book for you. I don't normally read cop books. I struggle to read them to the end. 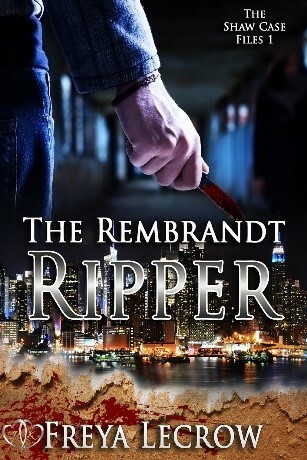 The Rembrandt Ripper wasn't one I struggled through! Once I started reading it I couldn't put it down!! It had me on the edge of my chair from the moment I started reading it, all the way to end. It has a love story and mystery all wrapped up in one. With a female no no-nonsense and her partner/ lover (told you it was good). Don't be afraid to read this book with all of it's twists and turns.You find yourself cheering on the cops in hopes of them finding The Rembrandt Ripper before another body pops up! I had a chance to sit down with the author of the book and ask her some questions. I hope you find her as delightful as I do. My questions are in black and her answers are in red. 1) Can you please introduce yourself to everyone? Of course, my name is Freya LeCrow. 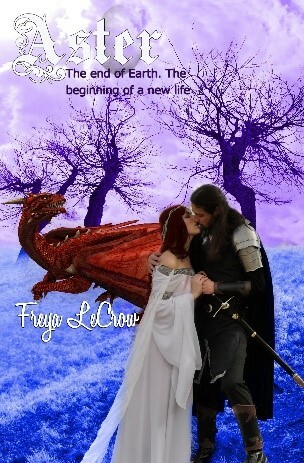 I write romance under many different genre. I am a mother, crafter and many other things. I love to stay busy and writing is one of my passions. I have been writing for over twenty years and hope to be writing for another twenty or more. 2) Do you have a favorite genre? 3) Did you always want to write or what inspired you to do it? No to be honest I wanted to be a lawyer when I was younger. That didn’t happen because I couldn’t go to college at the time. Instead I got married and had two wonderful kids. 4) Do you need a nice quiet space to write or are you blasting your music and writing? With two kids? Are you kidding me? LOL I write with kids yelling, music blasting and the TV going in the back ground. It is a crazy house here. 5) If you could give one tip to someone who wants to write what would it be? I would suggest to never give up, to keep working even if you think it is a lost cause. If you find yourself stuck walk away for start something new. Then go back to what you started on. It isn’t always going to be easy. 6) What is the big dream? In other words where would you like your writing to take you in the future? To hit the Best Sellers list, I would love to be able to make a small living on my writing. 7) If you could meet anyone living or dead who would it be? 3) Favorite kind of music? Don’t have one, I love all types. Don’t have one yet again, I love so many. 5) Vampire, werewolf, Fairy or shifter? 6) Do you have pets? 9) If you could live anywhere where would it be? What an amazing author and what and what a great book. This is how you can her work. I hope you grab The Rembrandt Ripper to enjoy it as much as I did! Thank you all very much for taking your time to read my review and my blog. I hope you have wonderful day/ night!! © 2014 E.J. Babcock. Picture Window theme. Powered by Blogger.